This recipe is courtesy of the wonderful Emily Woloszyn. She posted this recipe on Facebook and I just *had* to try it out. 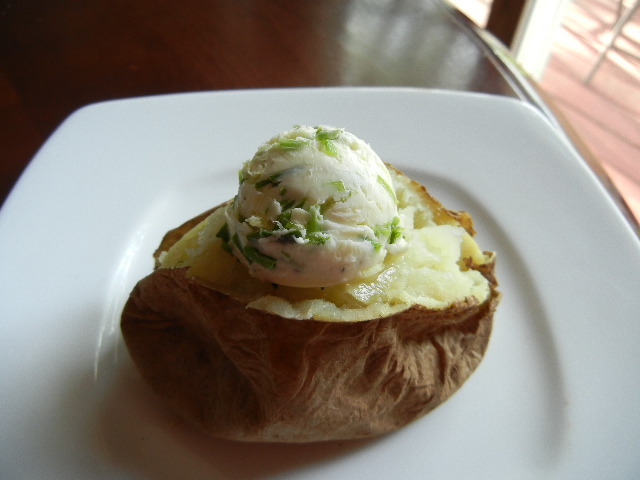 The recipe is very easy and virtually no fail. You get these hard on the outside…soft on the inside…dripping with butter pretzels. You will never buy bagged pretzels again. Thank you Emily! Mix first 4 ingredients. Add the water and mix until a nice dough ball forms (your goal here is a soft dough). Dust the dough with flour and put in ziploc bag or covered in a bowl to rise for 30 minutes. Spray cookie sheets with veg oil or line w/parchment ( I cook mine on stones). Transfer the dough to a lightly greased surface, I use olive oil rubbed onto the counter. Divide into 8 equal pieces. let sit covered on the counter for 5 minutes. roll ea. pretzel to 28 inches or a bit longer and twist into the pretzel shape. Dip in the warm water mixed with the sugar and place on baking sheet. Brush the melted butter on them after they come out of the oven. 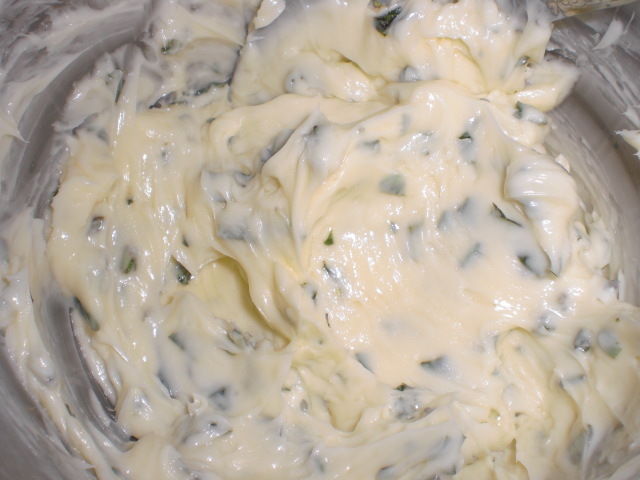 I had some lemons, fresh Rosemary and super fresh Basil (courtesy of HighCross Farm) in my fridge and decided to make a lemon herb butter. Please don’t mind my cutting board. It was stained green after chopping my herbs. 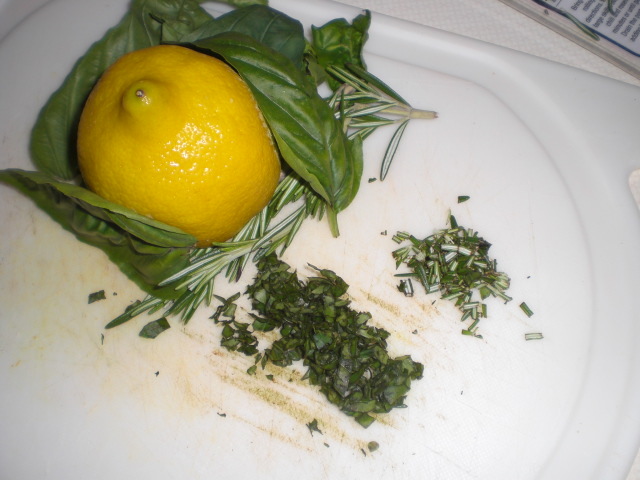 I chopped up a good handful of Basil and about two sprigs of Rosemary (Rosemary is a strong herb). I took about a tablespoon of fresh lemon juice and added it to 1 stick of room temperature butter. I then added my chopped herbs, mixed until well blended and chilled in the refridgerator until needed.